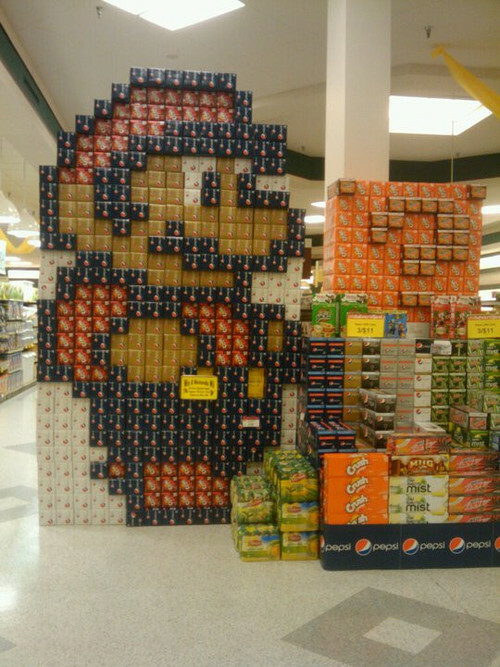 Super Mario Shaped Soda Grocery Store Display – Hello Adorable! Pygmy Marmoset Versus Flower. Who will win?